I get asked all the time about my pupils buying their own instruments and which ones should they get? 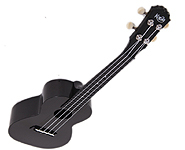 Ukuleles come in 5 main sizes - Soprano, Concert, Tenor, Baritone and Bass. 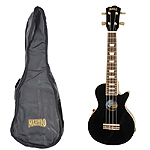 Electric ukuleles are also available. 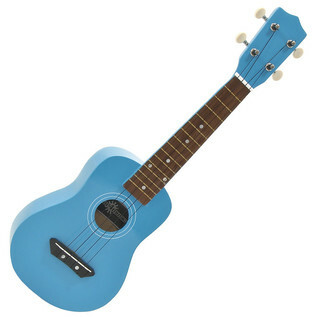 Here is a quick, linked, guide to buying a ukulele - the good, the bad and the plastic! Do remember, whatever your budget, check that a case is supplied and perhaps go for a String Upgrade. 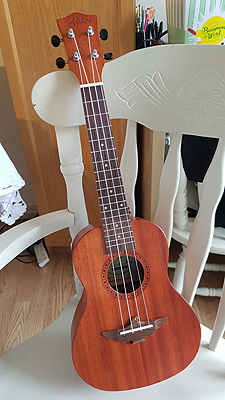 Soprano ukuleles are the size that the beginner player most commonly uses. They are not a 'childs' size instrument. 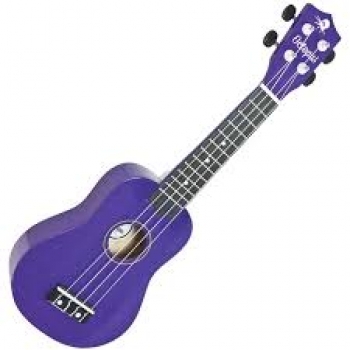 They are simply the smallest ukulele with the shortest neck. Genral rule of thumb is avoid the friction tuners at this price range. The way to tell is if you can see the tuning peg buttons sticking out at 90 degrees from the side, then they're the better, geared, tuners! Below are a current selection that are available in the UK and often turn up in my lessons! The Makala Dolphin Soprano is the most common instrument used in my classes. It is a great instrument that comes in lots of different colours. Next to Makala ukuleles, Mahalo are the biggest brand of soprano ukuleles. They have many shapes, colours and graphics available. I always wanted to like these. They look so cool! But the sad truth is - they're awful! They're difficult to play sitting down for younger learners and the acoustic sound is terrible owing to their unique shape. The pick up used here is in the Mahalo Les Paul Concert size ukulele and I've never thoght the sound of that to be much good to be fair. So sorry! Very little here to recommend! Now this IS cheap! It's a branded instrument, made in large quantities with the supplying companies own brand put on it. They are quite the solid little uke! A little 'thuddy' in sound but at this price? 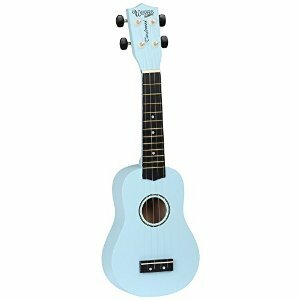 Concert size ukuleles suit the improving player wanting a louder instrument with better playability. Typically a child of 11+ will be physically suited to this instrument, or perhaps an adult not wanting the larger Tenor size of instrument. 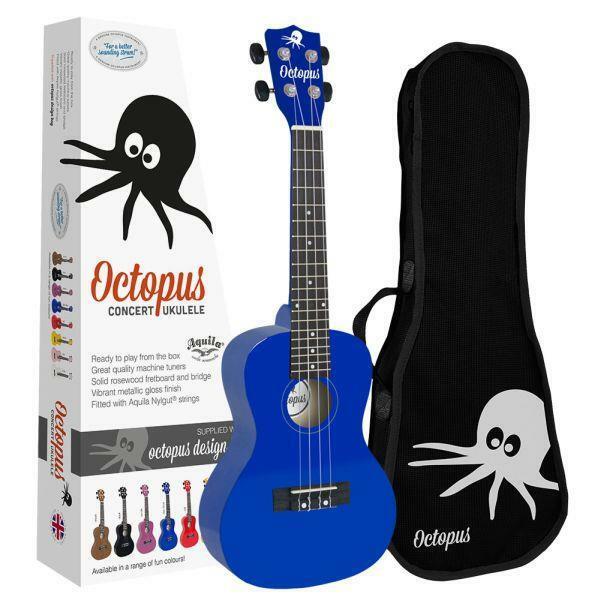 Brilliant instrument at a great price for a solid body wood ukulele. Lottery win? Well this model is beautiful! Amazingly light and very loud with perfect intonation. Very fond of mine! Southern Ukulele Store £!!.!! 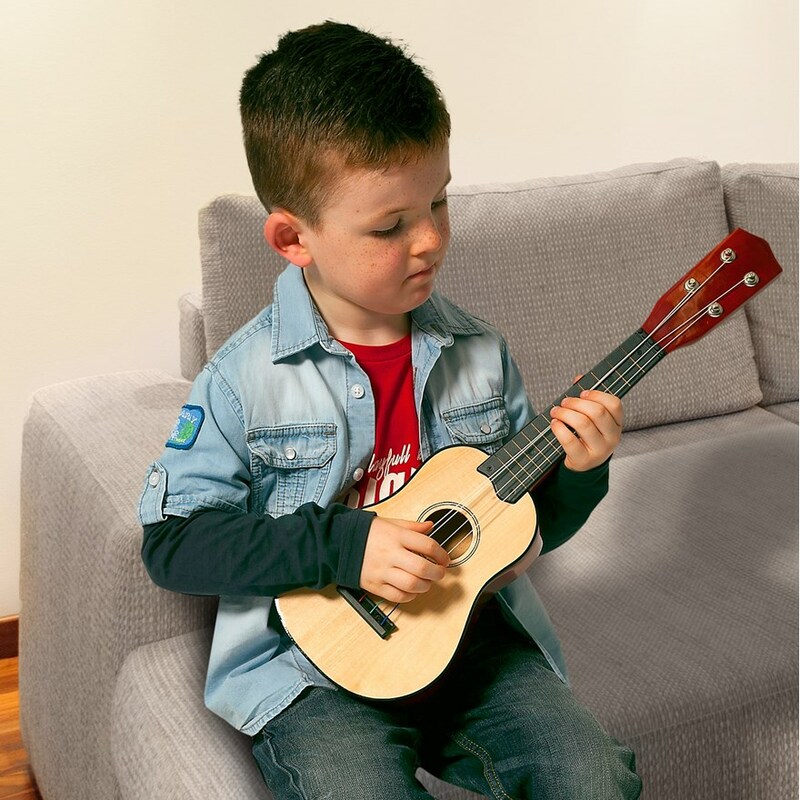 Tenor size ukuleles are usually favoured by adult learners/ players. They are most commonly available and larger fingers can find them more accommodating than the smaller sizes! This is the big brother of the Makala Concert ukulele. It is unusually wide in the body and this makes for a large sound. Even larger with the fitted pickup! The Omega Zedro III. What to say about this? Currently the favourite instrument in my Harem! A beautifully constructed instrument with interesting woods. Loud and punchy in sound with excellent intonation, numbered and limited. Truly special. But I believe they are now VERY limited in number?! 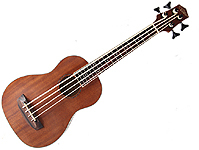 Baritone ukuleles are tuned differently from Soprano, Tenors and Bass ukuleles. They take their tuning from the top 4 strings of the guitar - D, G, B, E.
Bass ukuleles are usually fitted with large 'rubbery' strings to get the lower pitch. They do come as acoustic instruments or with fitted pickups. Electric ukuleles are mostly solid bodied - that is they don't make much sound unless they're plugged in to an amplifier. They are perfect for playing if you want to change the sound produced using effects like guitar pedals. They are also pretty good if you just want to be very LOUD! The Eleuke Mp3 Solid Body ukulele (snappy title huh?) is my electric instrument of choice. They are difficult to get hold of brand new in the UK but do turn up on eBay from time to time. The best way to instantly improve your instrument is simply by changing the strings. Most soprano instruments come with factory fitted, no-name strings that don't do the instruments any justice. By simply replacing them with better strings the instrument improves hugely. For Tenor sized ukuleles there are many choices. For my electric ukulele I prefer the Aquila Red series (Link here...) as they are slightly more tactile and have a different gauge to them. Thanks to the generous people at Omega Music I've recently tried the brand new 'Lava' series (Link here...) of strings from Aquila. They are grey, shiny and beautifully mild in tone. Recommended! *All information correct as of November 2014. Prices quoted may be found cheaper elsewhere on the Internet. I have no profitable interest in any of the mentioned web site companies. The above models are chosen because of my personal involvement and experience with them. There are MANY others available...so do have fun finding them and if you have any recommendations then get in touch!